Numbed by grief and harboring shameful secrets, Lt. Adler Paxton ships to England with the US 357th Fighter Group in 1943. Determined to become an ace pilot, Adler battles the German Luftwaffe in treacherous dogfights in the skies over France as the Allies struggle for control of the air before the D-day invasion. Violet Lindstrom wanted to be a missionary, but for now she serves in the American Red Cross, where she arranges entertainment for the men of the 357th in the Aeroclub on base and sets up programs for local children. Drawn to the mysterious Adler, she enlists his help with her work and urges him to reconnect with his family after a long estrangement. Despite himself, Adler finds his defenses crumbling when it comes to Violet. But D-day draws near. And secrets can't stay buried forever. 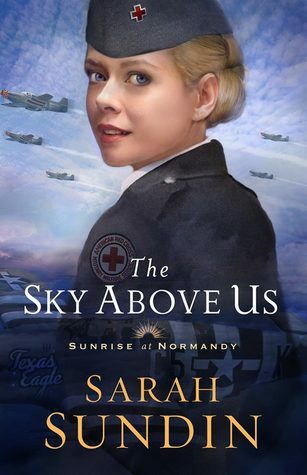 Bestselling author Sarah Sundin returns readers to the shores of Normandy, this time in the air, as the second Paxton brother prepares to face the past--and the most fearsome battle of his life. The Sky Above Us has the most inviting cover that allowed me to sink deep into the book because of who I felt the character is and was based of what the covered look like, I am not going to lie. The plot and characters of this story were well written. I loved Violet and how she is a very hard worker, making the most of every situation. She just has this sweet spirit that I enjoyed reading. Alder was an interesting character and he was a character that had to grow on me a little bit, but I love how the author wove scripture throughout the characters. The plot was great in historical research during the WWII era. It was fascinating to me and enjoyable, especially with the authors immense details. The romance between characters was great and the pages flew on by as I was easily won by creative story. This book is one that you will enjoy and find as a great read! I highly recommend this book by Sarah Sundin and other title by her! Sarah Sundin enjoys writing about the drama and romance of the World War II era. 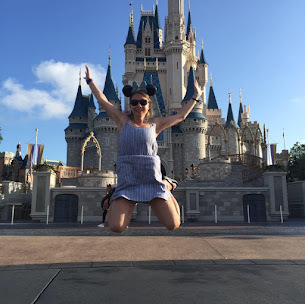 She is the bestselling author of The Sky Above Us (February 5, 2019) and The Sea Before Us(2018), as well as the Waves of Freedom, Wings of the Nightingale series, and Wings of Glory series. Her novels Through Waters Deep and When Tides Turn were named to Booklist's "101 Best Romance Novels of the Last 10 Years." Through Waters Deep won the 2016 INSPY Award and was a Carol Award finalist. A mother of three, Sundin lives in northern California and teaches Sunday school and women's Bible studies. She enjoys speaking to community, church, and writers' groups.